Valentine’s Day is right around the corner, which means locking down plans. If you were thinking of going out for a very cut and dry dinner and a movie, think again. 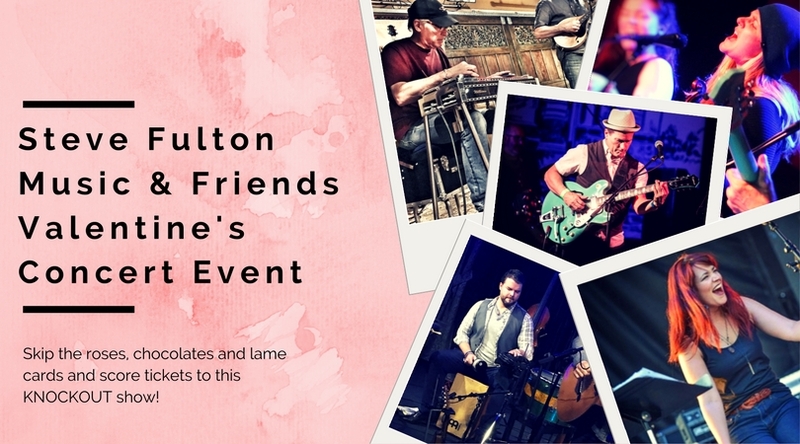 Join Steve Fulton Music and a bunch of his super talented friends for a night of dinner, drinks AND music. Skip the roses, chocolates and lame cards and score tickets to this KNOCKOUT Valentine’s Day Concert event! Find your tickets HERE.